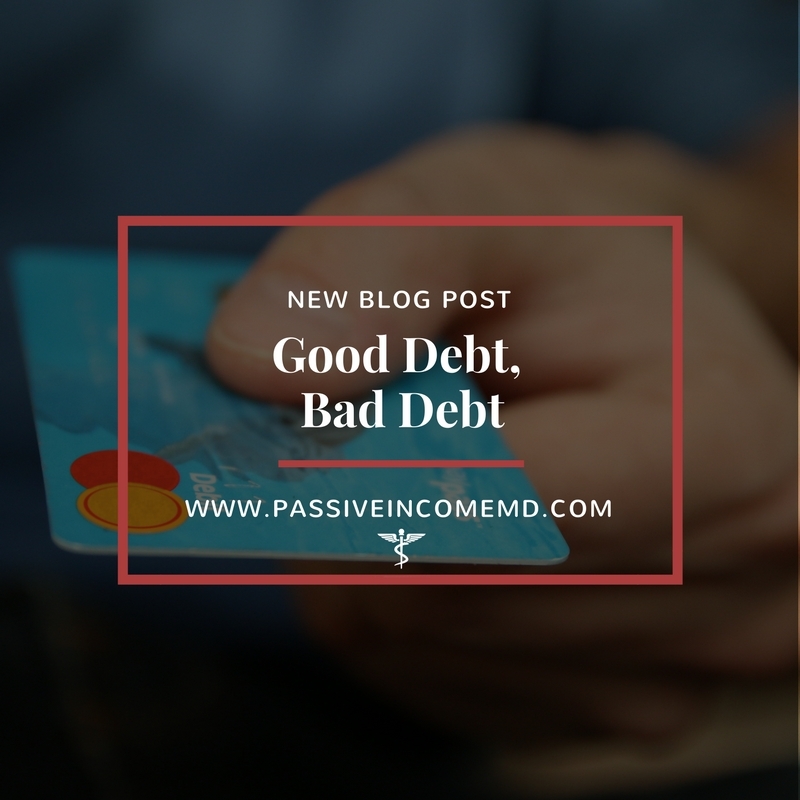 Good Debt, Bad Debt | Passive Income M.D. Today’s guest post is by Pamela Starnes, M.D. You might recognize the name if you’re part of the Facebook group Physician Side Gigs or on the White Coat Investor Forum. She’s an active participant on these sites and has a passion for educating physicians on financial matters, particularly in real estate. At least several times a week I come across an article or forum discussion referencing debt – any debt, all debt – as an absolute negative. At the risk of stepping on a number of Dave Ramsey snowballs, I’m willing to take a stab at dispelling this misconception. The inherent meaning of the word debt is neither good nor bad. Debt is simply money borrowed by one entity from another. To me, the clear distinction between good and bad is what you spend that borrowed money on and what that item will do for you to improve your financial picture. A small business loan to purchase or expand a business. Many businesses would never get off the ground or ever expand beyond their small start if it were not for a small business loan to accelerate their growth. I think it’s fair to say that most physicians (except a few lucky ones) would not have the degree and subsequent earning power they do without accepting some form of debt as an acceptable tool to accomplish their goal of going to medical school. Although it can be argued that a primary residence is not an asset as it does not independently generate income, most people still view a home loan as an acceptable undertaking as long as someone is not purchasing a home beyond their financial means. And most people do realize financial benefit from this over time as they can utilize tax advantages and build equity in their home as they pay for living accommodations they would need anyway. 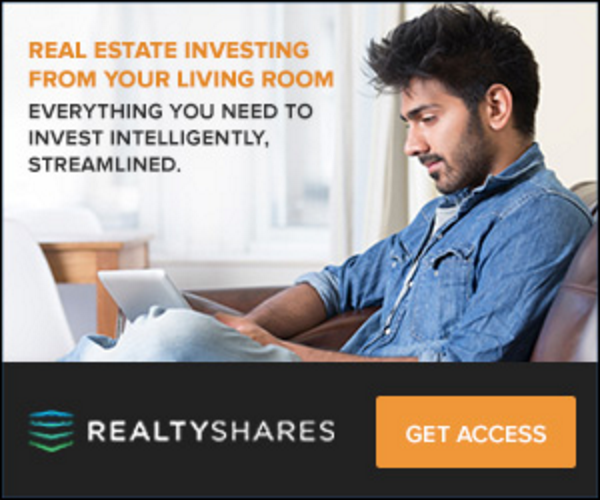 Although it is beyond the scope of this article, an even subtler aspect of using leverage on your home is as an asset protection tool, particularly in states where there are low caps on the homestead exemption. To summarize: Buying a Louis Vuitton handbag for $1,700 on a credit card on which you already carry a $10,000 balance and can’t possibly pay off in full at the end of the month = BAD DEBT; buying a cash flowing rental property with 75% leverage where the property income covers its own expenses and monthly debt service AND you get cash flow on top of that every month = GOOD DEBT. And that’s what brings me to stepping on snowballs. I realize the service and message financial gurus like Dave Ramsey are providing for a certain subset of the population. With the average American carrying greater than $16,000 in credit card debt at 18+% interest rates there are clearly a lot of people that need a tough love message and broad generalization that debt is not their friend. I get it. That being said, I can’t help but cringe when I read Dave Ramsey quotes like “debt is dumb” or “debt creates enough risk to offset any possible advantage” because this is simply a falsehood when referring to ALL debt. If he were only referring to “bad” debt as outlined above I’d be behind that. However, Ramsey is against using debt in pretty much any form and that kind of generalization I find to be bothersome. Perhaps that is what some people need to keep them from getting into trouble with debt, but for anyone with responsible financial habits, I will continue to advocate for conservative utilization of “good” debt. Feel free to jumpstart a discussion about your thoughts on debt. I think it is one of those subjects, like politics and religion, that people have strong opinions on. Regardless, we can all learn something from everyone else’s viewpoint and perhaps incorporate that into our way of looking at the world and our finances. Want to learn more? Check out PhysicianREI.com. How do you view debt? Is it all bad to you? What are some of the worst debt decisions you’ve made, what are some of the best? Previous articleHow Many Summers Do You Have Left? I could not agree more. People are so fearful of debt that it blinds them to opportunities. I also cringe when I hear people wanting to pay down their mortgage as fast as they can so they can be debt free. But to me, that feeling of “security” and being able to sleep well at night is costly. Using “good” debt to buy assets is a smart way to build wealth. Einstein said compound interest is the eighth wonder of the world. It’s got nothing on leveraging “other people’s money”. Thanks for responding RadCrowd. I know it can be a divisive topic so I’m glad to know I’m not the only one who feels that way! I agree that there is such a thing as “good debt.” Businesses do this all the time. Most businesses that are well establish can get low interest rate loans, especially if they have a long history with a particular bank. Using that to leverage yourself to build more wealth is definitely a popular method of building wealth quickly. Dave Ramsey seems to have an audience that has a lot of “bad debt” and wants a life style change. He doesn’t right out say there is such a thing as good debt but he advocates for paying off mortgage at a different step than other debts. Most people who call in end up having credit card debt, car loans, and other debts that are keeping them poor. He might not be right for all, but he sure does slap some sense into people with a lot of dumb debt. Once you get rid of your dumb debt, then his advise is not really all that great. It’s nice to see another physician blogger. You summed it up nicely in your last comment InvestingDoc: “Once you get rid of your dumb debt, then his advise is not really all that great.” That is really the bottom line and perhaps why I find it so annoying to look at debt in black and white terms where it is ALL bad. Thanks for jumping in the conversation! Couldn’t agree more. If you take the time to do the math, there are tons of ways to use debt to your advantage. Does it carry risk? Of course. You can minimize it, however and there is a risk-reward relationship for a reason. When it comes to college debt it’s now popular to tell people to go to community colleges because they’re cheap. Hate that defeatists mentality – believe it or not some schools will allow you better opportunity than others if you do it right. I totally agree with doing your research on risk-reward for using debt. For college debt, the rapid increase in tuition experienced over the last 15 years can’t be sustainable. It has to change eventually, don’t you think? Yep, like everything else in life there are pros and cons, risks and rewards, but agree with minimizing the risks not completely avoiding them. Also agree that community college is looking like a preferable option in many cases. Not always necessary to rack up significant student loans to get educated and learn job skills. I don’t really think it is a defeatist position, just a practical one for many people.